People never give much thought to how books make it into a public library. Books just sort of…appear. As an author, I’ve always tried to make sure my book makes it to library shelves. Sure, I want to sell books, but I also want people to read them. Plus, I am a diehard library rat, so I want my own book on the shelves. Unfortunately, I write in a deep vertical, specifically non fiction books for people who want to work in the comic book industry. It’s not a book for comic fans or kids. It’s for people who want to improve their craft (in this case writing or drawing comics) and break into the industry as a paid professional. That’s a pretty narrow audience that lives deep in the long tail. Marketing to the long tail is an art unto itself, but that’s a different blog post. 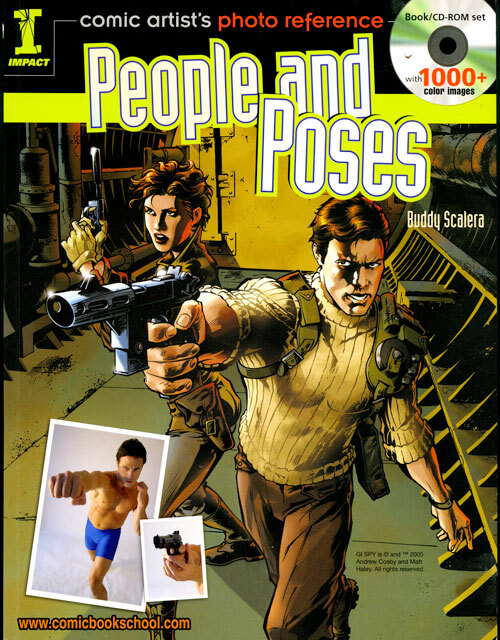 In this case, I found an old email that I sent to my editor when my first book (Comic Artist’s Photo Reference: People & Poses) was published. I live in a large suburban town in New Jersey, and I wanted nothing more than to see my book on the shelf at the library. I’ve lived in the town my whole life, so I figured it would be no problem. It’s not just the Internet that is killing newspapers. Newspapers are killing themselves. As the newspaper dies, it struggles to remain profitable…causing an inevitable death spiral. Right now, newspapers could hold on longer if they could throw a lifeline to their local news reporters. Instead, to save money, newspapers are buying content from news wires. Unfortunately most people can get the same articles for free online. Making me pay for something that I can get for free isn’t really a sustainable business model. Let me give you an example with my own daily newspaper The Record. The Record has always been part of my life, and I do not want to see it go out of business. But here’s how the content from today’s (March 23. 2009) newspaper breaks down. I counted each homegrown article and each wire story article on every page. The newspaper was very thin today (46 pages), so it was pretty easy. My apologies for the lame graphic. I input all the data into a Zoho.com spreadsheet. It may give advanced chart design features, but I just couldn’t figure it out. I felt it was more important to share the data, which is embedded in this graph. Feel free to utilize the info in the Zoho chart or spreadsheet. This is a visual representation of how much homegrown content (56 articles) versus news-wire content (57 articles) is featured in today’s paper. That’s a 50-50 split of original content versus syndicated content. It’s pretty obvious from the graph that the A section is mostly pulled from sources that I can get for free…and in real time. That’s just not a good way to keep readers. The A section is all available instantly on Google News. Moving to the B section, things start to change. In the Local section, MOST of the news is relevant to me, based on region. The paper uses some syndicated sources to enhance the local news. Over in section C, we see more wire content popping up. This is the Entertainment section, so we have a mix of regional stories and bunch of syndicated stuff that I can get just about anywhere. Finally over in section D, we’re in Sports and Classifieds. All of the Classifieds are local, but none of it requires a reporter. This isn’t exclusive to my local newspaper. As you read your daily newspaper, take notice of who is writing it. If it says “staff writer” it’s written in house. But if it says “Associated Press” then you can get that article (or one just like it) from Internet news sources. Ironically, I was planning to write this post, and in today’s Record they printed a letter from a reader who wants more local news reporting. Saving newspapers will require more than recycling wire stories. It’s about covering local events that matter to readers. And that means throwing a lifeline to the newsroom and paying reporters to create a product that people want to buy. Newspapers aren’t dead yet. Despite the steady declines in circulation and ad sales, many newspapers continue to hang on. And yet, they are inevitably doomed. 1. Local reporting. Many news websites focus on national stories. Big stuff. But the local newspaper give us useful reporting on local issue. Small stuff, like flooding, taxes, and school events. CNN doesn’t cover your neighborhood unless it’s a major news event, like a catastrophe or a tragedy. Either way, you don’t want to be in the news at that time. 2. Pictures. If you compared today’s paper with one from 10 years ago, you’d notice something important. That is, there are a lot of news wire photos. Lots of celebrities. Lots of people you dont actually know. Wanna know why? Photographers cost money. As newspapers rely more on news wire photos — stuff you can see anywhere — they lose a connection with the local community. 3. In Depth Reporting. Like Local Reporting, in depth reporting was the cornerstone of newspaper journalism. TV gave you the headlines, but newspapers gave you the full story. A good newspaper might offer sidebars, editorials, and illustrations. My local newspaper has won many prestigious awards for investigative journalism. Big exposes about local corruption and news events. Information on a local level. You cant get that from a journalist-blogger conducting an interviews over email. And yet, local newspapers cede control to online journalists and bloggers every time they run a canned story from the news wire. About the News Wire. Take a look at your local newspaper again. Check to see who wrote that story. If it says Associated Press or another service, it means your newspaper bought that story (probably through a subscription). Newswire stories are a cheap way to fill space. But they also cheapen the true value of the newspaper. A canned story satisfies a short-term goal of making a profit, since it’s cheaper to buy a story than to create one in house. But these are temporary solutions further weaken newspapers. If newspapers continue along this path, they are surely doomed. I love the Tissot T-Touch Watch, so I’ve been checking out their website to see when they’ll be announcing the new model. It’s a splurge, I know, but I really want one. It’s really the coolest watch on the market today. But surfing their website, I felt a little sad. This big, powerful mega corporation thinks I’m a dummy. Dont believe me? 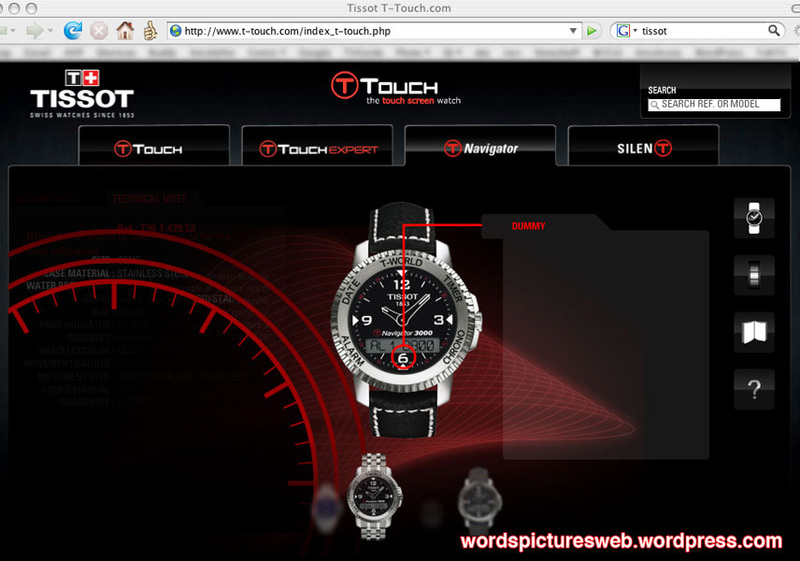 Check out the screenshot of what popped up when I was clicking around their interactive online demo at the Tissot T-Touch website. I mean, so WHAT if I’m not that bright? I never claimed to be the smartestest person in the world. There’s no reason to insert insulting little messages around your site. It doesn’t exactly encourage me to buy your big, mean, bully watch. Then again, maybe that’s the new marketing trend. Rather than tell people how smart they are for buying your brand, you can tell them how dumb they are. Maybe they call it “Dummy Marketing.” And it’s so cutting edge that they can claim a “first-to-market” status on Dummy Marketing. Brilliant! Here, I’ll give it a try. Thanks for reading my blog, Dummy. PS: Dummy Marketing is (c) 2008 Buddy Scalera. So there.